When all is well, it’s easy to believe “God with us.” When there’s trouble, believe with child-like faith. Whether you feel it or not, it is a fact! God is consistent. He is Immanuel. *God was with Joseph who was instructed to marry Mary. *God was with the Wise Men who were told to bypass King Herod. *God was with Mary and Joseph when they were told to seek refuge in Egypt. The Nativity Church in Bethlehem is built over the grotto where Jesus was born. On the ceilings hang Chandeliers and on the walls are fragments of a mosaic. This building is the oldest standing church in the Holy Land. Originally built by Constantine's mother in the 4th century, Emperor Justinian rebuilt the current structure in the 530s. It was apparently spared destruction from the Persians in 614 A.D. because the invaders saw the depictions of the Magi on the walls. Local Muslim-Christian friendship is believed to be why the church was not destroyed during al-Hakim's rule in 1009. The trapdoors in the floor reveal 4th-century floor mosaics from the Constantinian church. When all is well, it’s easy to believe “God with us”. When there’s trouble, believe with child-like faith. Whether you feel it or not, IT’S A FACT!!! God is consistent. He is Immanuel. Why 100? That number says to me “Immanuel.” I had been hosting a TV show called “Crossroads” from 1962 to 1977 when I saw the building at 100 Huntley Street in Toronto. The sun was glinting off the stainless steel street number 100. Suddenly, I knew why (over the preceding weeks) when I would open my Bible at random, my eyes would fall on the number 100. E.g. 100 fold in Jesus’ parable of the sower, or the 100th verse of the 119th Psalm. Even page 100 in my Bible would show up. I knew that it was time to move from the weekly show to daily. 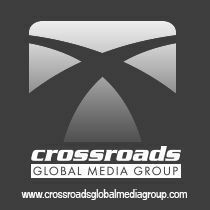 My wife Norma-Jean was the producer of “Crossroads” and it took me several days before I ventured to tell her that I wanted to name the new show after the address of the studio in downtown Toronto. Now over 9000 daily shows later, and at least 17,000 personal stories proving God is with His people, I could never doubt that He is “Immanuel”. Over 9,000,000 calls have come through to the 24/7 prayer lines. Millions of these have personally experienced “Immanuel”. You can too.